Centrally located, beachfront condo on South Padre Island. This unit is equipped a full kitchen, large living area, HDTVs and bathrooms in every room, and private balconies with beach and bay views. Rental includes access to a swimming pool, and private beach access. Our rental in located near all of the best dining and entertainment on South Padre Island. There are very spacious condos with luxurious natural stone finishes and accents. All rooms have a bathroom with a booth shower. Secure access with key cards issued only with valid ID by La Copa Inn Beach Hotel. Each unit has a unique lock with deadbolt. Maintenance, management, and service staff are available on call, 24/7. This condo is centrally located on South Padre Island close to all of the best dining and entertainment SPI has to offer! The South Padre Island Metro is a free bus service that gets you within steps of most areas on South Padre Island. The island also has a "Park and Ride" facility on the South of town. Gulf Blvd., where these condos are located, is also very bike friendly.. Please note that parking is limited to two vehicles per unit in the condo driveway. Each unit's parking space will be denoted. You must display your parking permit prominently inside your vehicle (preferably on the inside mirror or dashboard). These permits are available at check-in. We had a great stay for a family weekend trip to the beach. The facilities are luxurious and exceeded our expectations. We will definitely stay here again and might even try to rent multiple floors to bring more family. This was the best location and the home was absolutely gorgeous! Team La Cola was quick, responsive, and very professional in meeting our needs. We will definitely be coming back and renting this beautiful place! Thank you! The location was great - right on the beach - and the condo itself was fantastic. I will probably come back any time I want to go back to the island. This is an easy recommendation to anyone wanting to stay on the island. Team la copa made us feel very welcome. It is a beautiful property with amazing views and perfect access to the beach via a boardwalk. It also has an outdoor shower which is very helpful to be able to wash off your beach chairs, ice chests, etc. The property manager responded immediately to our texts and phone calls when someone had parked in our spot and promptly resolved the situation. It was really nice that every bedroom has its own bathroom and tv. It provides much needed privacy after a long day on the beach. We would definitely come back to this gorgeous property. Another bonus is that housekeeping comes by every day to provide clean towels, clean sheets, toilet paper etc. This condo is even nicer and larger than the pictures - with 5 bedrooms, it's huge and the bathroom in the master bedroom is enormous. All the rooms are very spacious, the kitchen is big, and the view of the ocean is perfect. They were nice and the place was really good. Great place, location was on the beach! Bree was easily contacted and took care of our needs! Beautiful condo, lovely beach, refreshing pool and comfy bed! It was a glorious time! We'll be back! Great location! Access to the beach was phenomenal. Friendly accessible staff. Upscale rental with upscale service. Great location with super easy beach access, plenty of open space, and all the amenities needed to enjoy a long family vacation at South Padre Island! This place was great. Perfect for my family. We all enjoyed it. Very clean. There was room for all of us. I like waking up and being able to see the beach from the balcony. This Condo is right on the beach!! 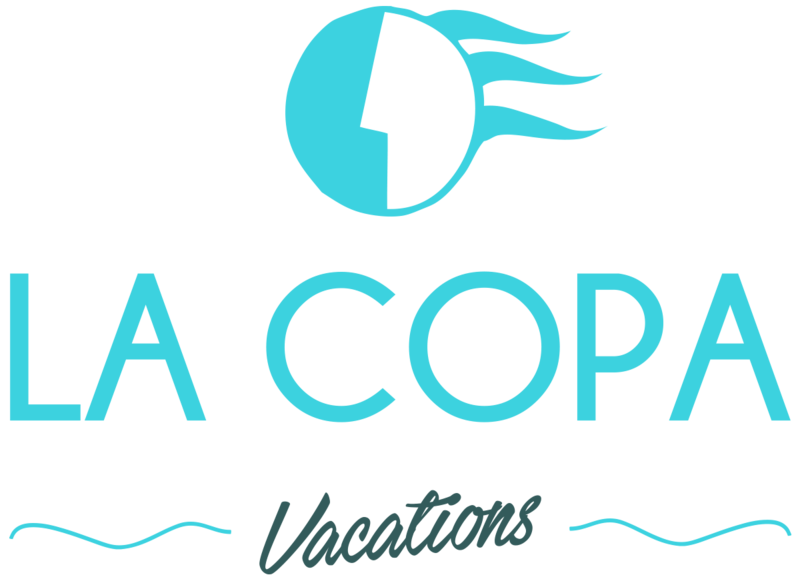 My entire family loved staying at La Copa. Great amenities - pictures do not do it justice. My two grandbabies ages 4 and 2 loved the pool and of course the access to the beach was perfect for nap time. Plenty of room for our family, 9 adults and 2 grandkids - we could have fit more very comfortably. The beach is beautiful and the water was very clear - an emerald color. I highlly recommend this Condo - great place to stay with a large family. We will definitely book this place again. This place is a must stay! The apartment was spacious and in a prime location! I highly recommend this location for large families. Every room was incredible and filled with little delights that made the trip that much pleasurable. The balconies in the front and back of the building were a great hangout location, as well as the pool area. The staff was able to accommodate every request that we had and exceeded our expectations. The building was very clean and was in an upscale location. Can't beat the beach view! Love, Love, Love! This accommodated a family of 11 with 2 kids and the entire place was very spacious. Each room had its own private bath and we never felt crowded. We will definitely be back. Very nice accommodations, great location and view. Overall all a great stay! Great place, great location! Looking forward to girls trip 2018 here! Amazing condo right in front of the beach to watch a beautiful sunrise. We loved the privacy of each of the rooms as each one had a bathroom. Open space loving, dining, kitchen was perfect for entertaining. Very very nice place! We wanna visit again! A fantastic condo with great common space.. Each bedroom has its own bathroom. The view and location right on the beach are wonderful. The space is super clean and comes with maid service. We all agreed that this will be our choice for next year. The condo location is excellent and the view from the condo is great. The condo is very roomy and well kept up. We had an amazing stay here winding down after a wedding even in McCallen. This is the most spacious condo I've ever stayed in. Plenty of room for a big group. All of our family really appreciated having comfortable rooms with their own private bathrooms. The views from the back deck were spectacular!! Enjoyed beautiful sunrises, long walks on the beach and slept with the doors open to hear the surf all night. The complimentary breakfast had a lot to choose from and a great perk to staying here. The staff from check in to check out were extremely polite and helpful to us. Everything here went above and beyond our expectations. A big thank you to Margarita who had our place spotless upon arrival. We will request the 2nd floor again for our next visit. Huge condo with plenty of beds and large balcony. Great spot for a big group. We loved our short stay there. Awesome location and the condo was very spacious. A couple more chairs in the living room is about all I would change. Gorgeous views of the beach, private, quiet, and plenty of room for several families or couples. We loved the decor and it is so convenient to everything on South Padre Island. Thank you for an amazing experience! Great location with a beautiful view. The home is gigantic and every private bathroom is a plus.. When I arrive the front room TV was not working, called and maintenance came within the hour. Would definitely recommend and will book again for next Padre trip.